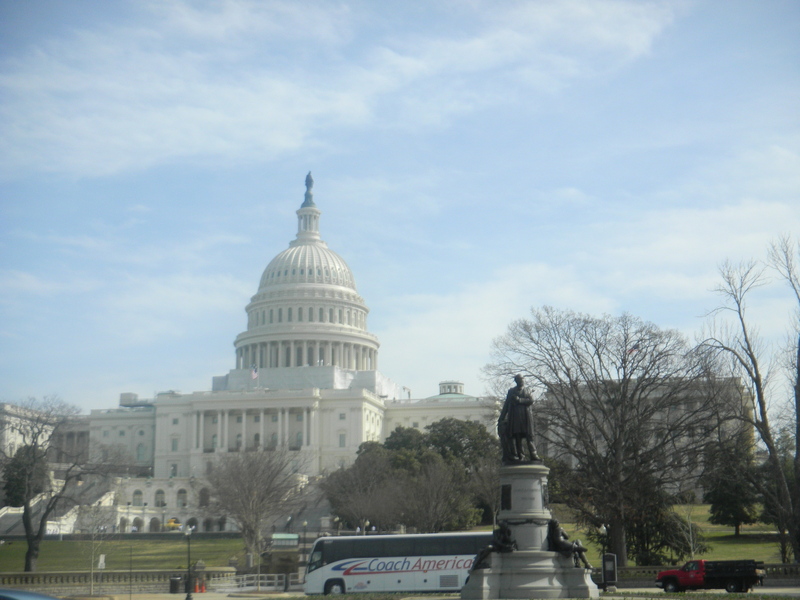 This week, my fiance and I took a short trip to Washington, D.C. Last year during spring break, we visited D.C., and he proposed in the Rotunda of the Capitol. 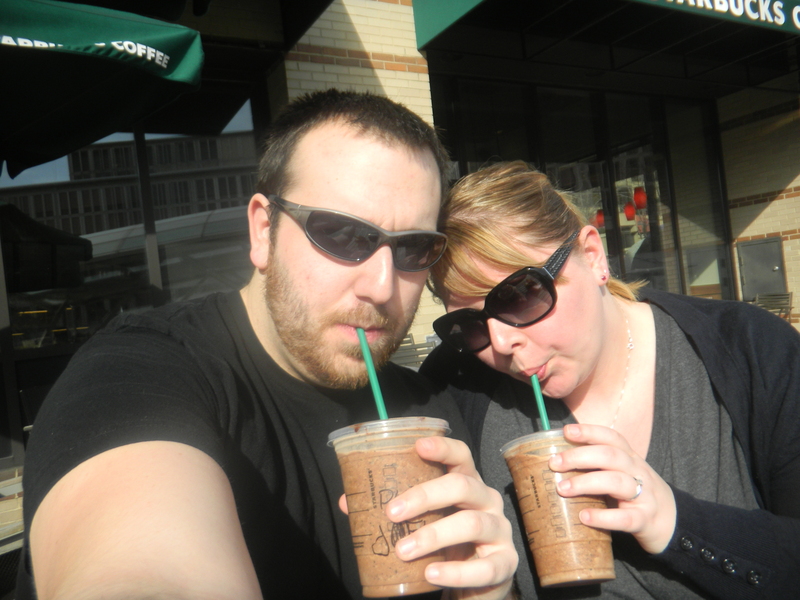 Visiting the same place was a great way to celebrate our engagementiversary! We had a fantastic trip and a ton of fun! 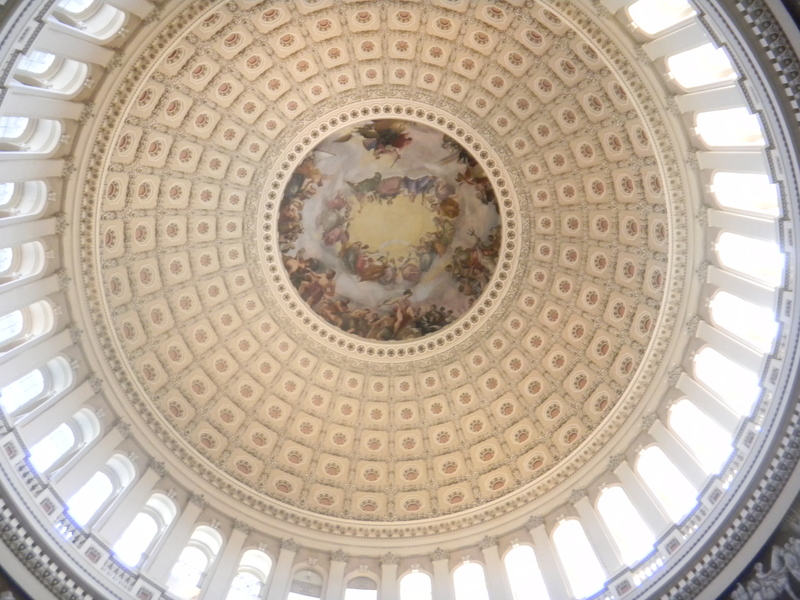 This is what the inside of the top of the Capitol Rotunsa looks like. The painting in the center is called The Apotheosis of George Washington. Not only is it a stunning work of art, but it is also extremely meaningful. You can find more information by clicking the photo. I always loved the Capitol Rotunda, but after the proposal last year, it is even more special! It's cool to think that George Washington was looking down on us (literally, from this painting!) during our special moment! 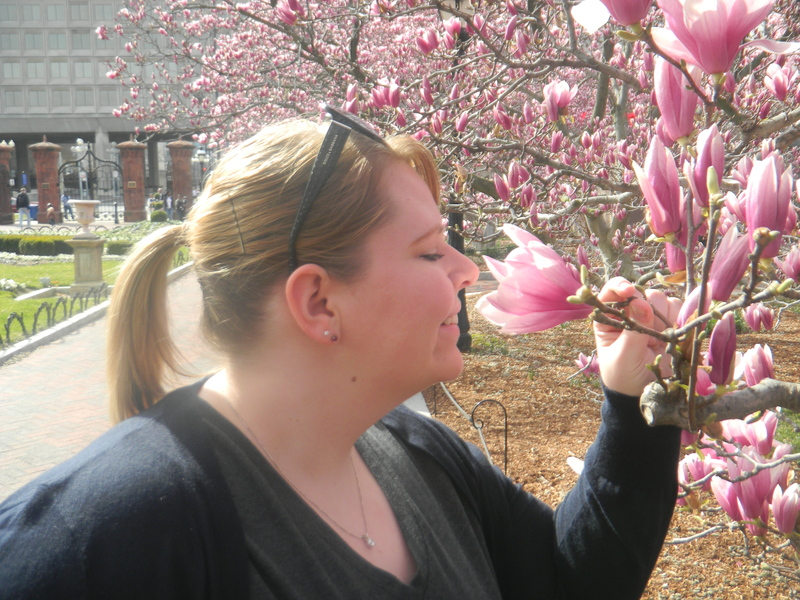 We found these beautiful flowering trees in the garden behind the Smithsonian Castle. I love that so much beauty can be found in the most unexpected places in D.C.! 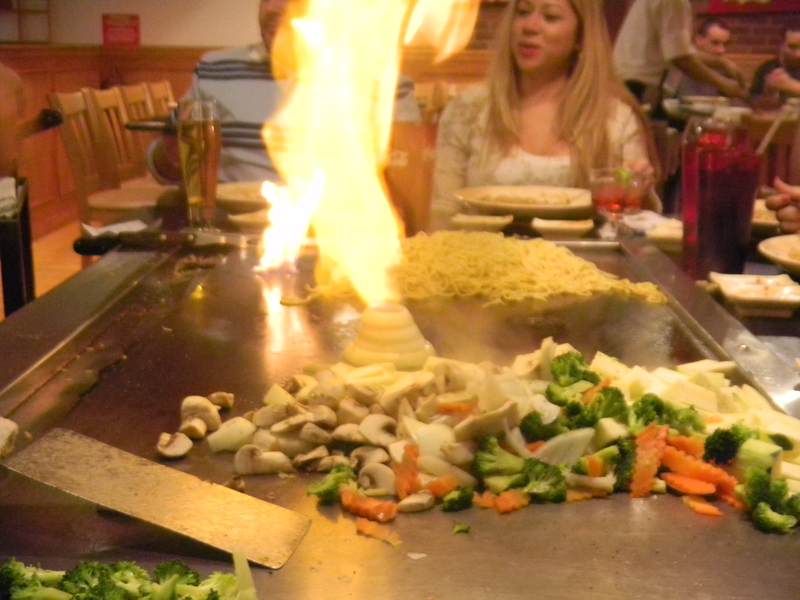 To celebrate the beginning of spring break, we got a big group of friends and went to a hibachi dinner. It was tons of fun and delicious! MMMM YUM! 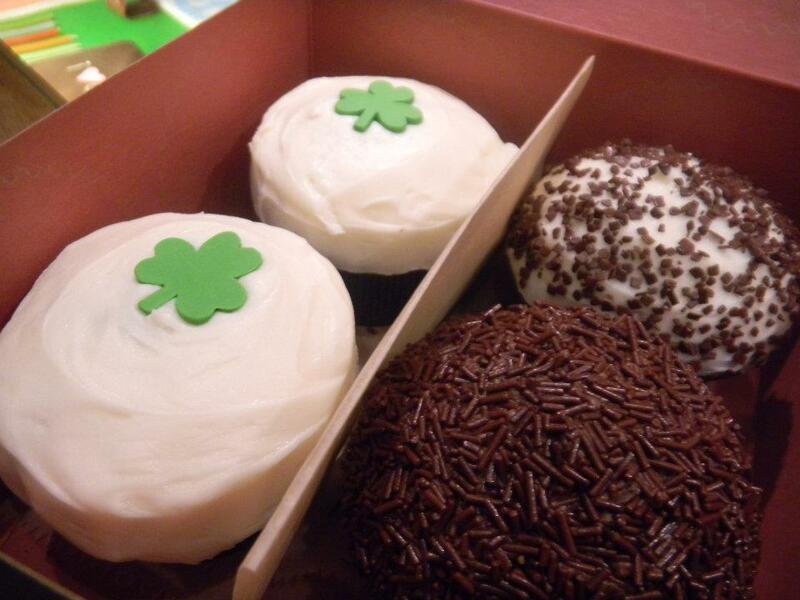 Sprinkles cupcakes from the Georgetown location! This is a two-for-one favorite because Sprinkles has my favorite store-bought cupcakes AND Georgetown is one of my favorite places ever! 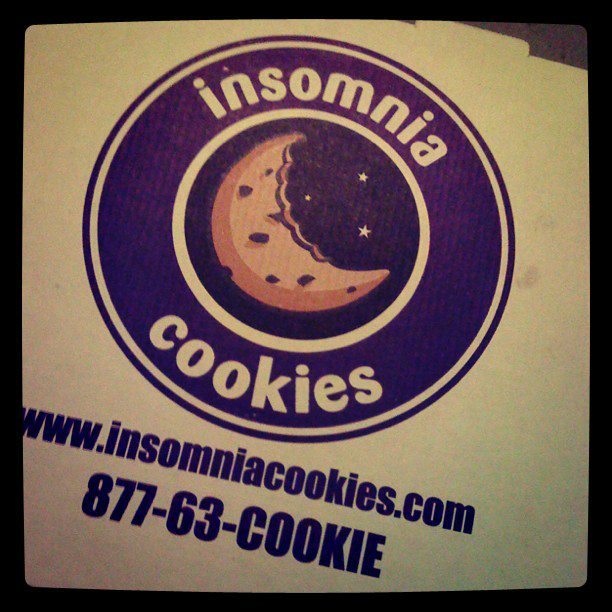 Who doesn't love cookies that show up to your door at 10 at night??? 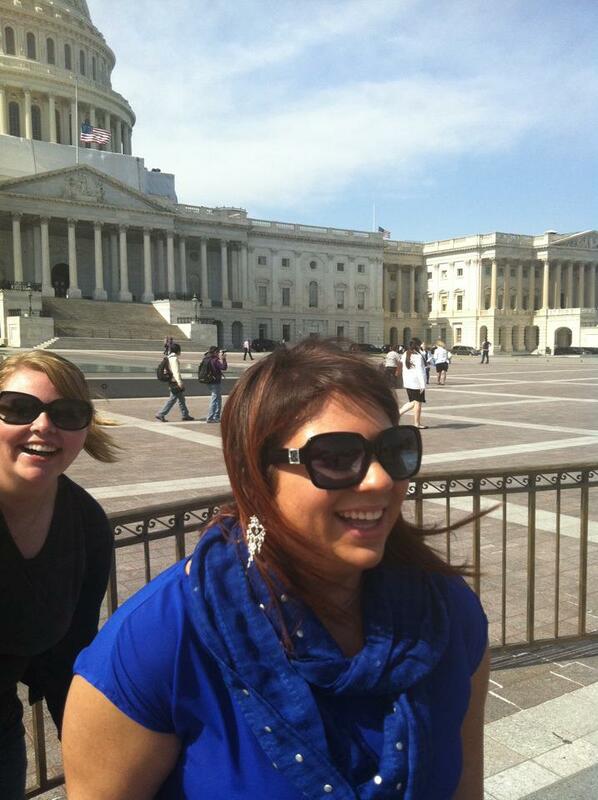 We got a chance to meet up with one of our friends while in D.C. We always have so much fun together, and I love how this photo shows how silly we are and how much we laugh together! I bought some canned pumpkin at the store to make one dish, and had some leftover. I looked around to try to find a good way to use the extra in a healthy way and found this recipe online. I modified it just a bit, and they turned out great! You know, for healthy cookies, these are pretty good! They ended up looking a bit like scones… they’re very fluffy! 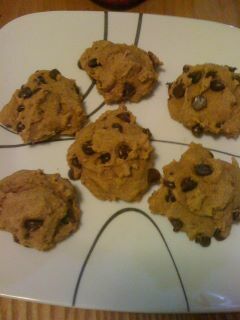 Delicious for a nice fall treat when you’re trying to be a bit more health conscious! Thanks so much, Teri, for the recipe! If you have any healthy and delicious recipes, please PLEASE share them in the comments!